The Zombie survival guide tells you everything you need to know in order to protect yourself from the restless dead. 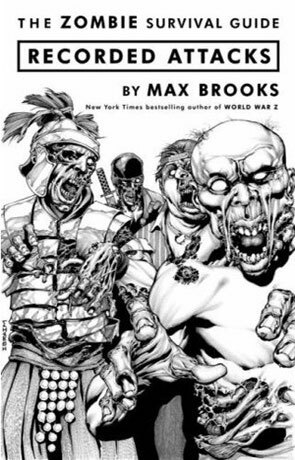 Written by Max Brooks, the guide follows a no nonsense and logical path that draws you in and makes you believe that a future zombie threat might just be possible. With a timeline that spans prehistoric man through to modern day and straightforward steps for the average joe to outlast an invasion of flesh eating zombies, The Zombie survival guide is a must. Written on 27th October 2009 by Ant.